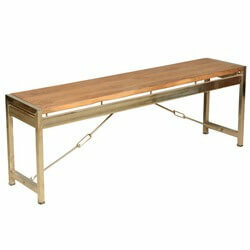 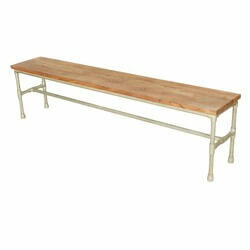 A dining room or kitchen bench is a versatile and smart seat that is perfect for today’s modern and active lifestyle. 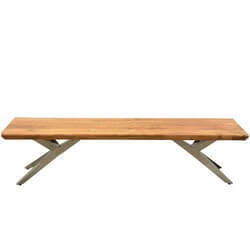 Backless benches tuck neatly under the table or against the wall when not in use and allow you to maximize the space in your home. 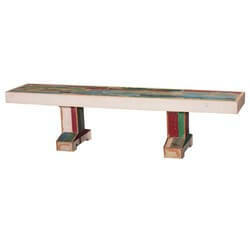 Kids love to sit on solid hardwood benches and they can become accent tables when not in use. 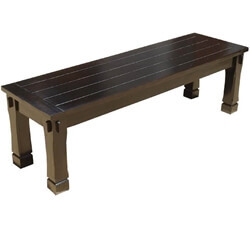 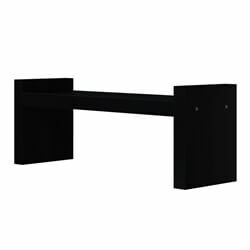 Traditional Bench Styles - Benches are one of the oldest types of seats and we are delighted to feature gothic, colonial, Amish, and Appalachian Rustic backless seats in many lengths. 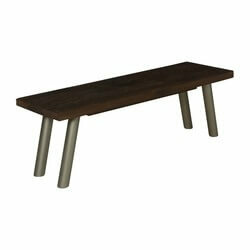 Our classic collections feature trestle bottoms, four-legged designs and X-shaped legs. 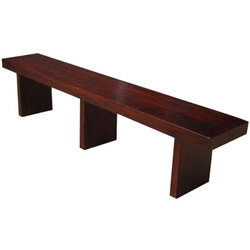 Contemporary Benches are Exciting - Many interior designers have rediscovered the versatility and beauty of the dining room and kitchen bench. 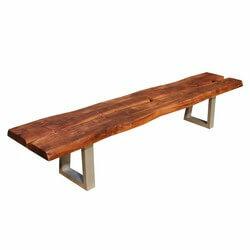 We’re delighted to feature industrial fusion benches with Acacia wood and iron, Modern Frontier styles with iron legs, and sleek picnic style backless benches. 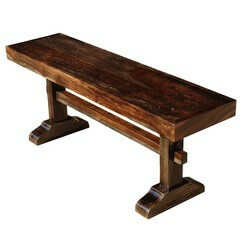 Superior Solid Hardwood - You won’t find veneers covering pine or other cheaper woods. 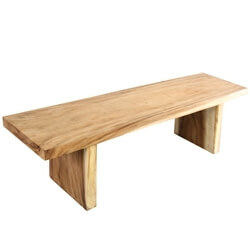 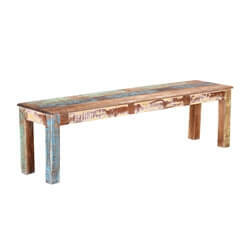 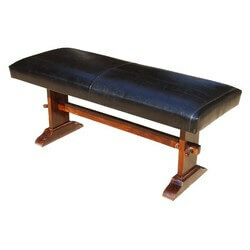 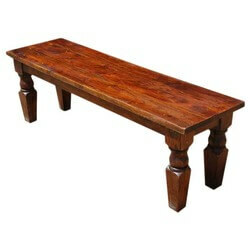 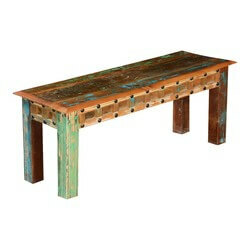 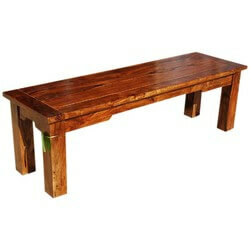 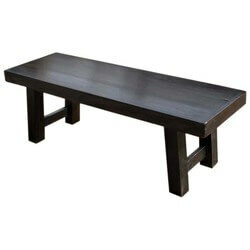 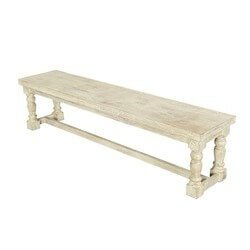 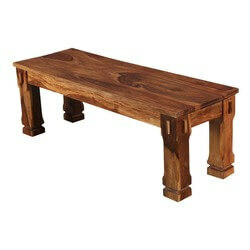 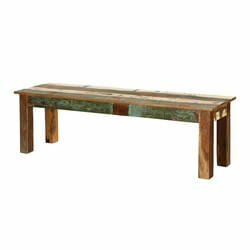 We proudly offer handmade benches crafted by old world artisans. 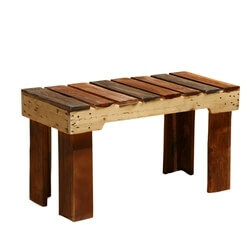 We use elegant woods including Indian Rosewood, Mango, Acacia, and reclaimed woods. 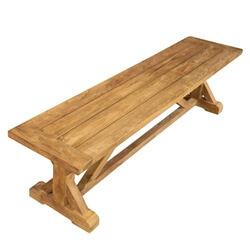 Custom Orders are Easy - We are proud of our diverse collection of traditional and modern benches, but if you need something special please let us know. 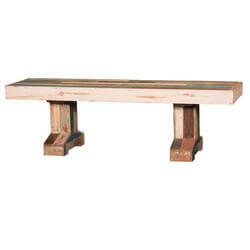 We are happy to build benches to your size and color specifications. 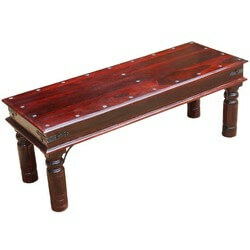 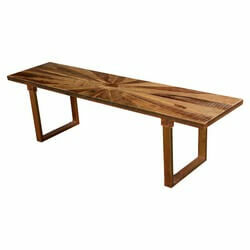 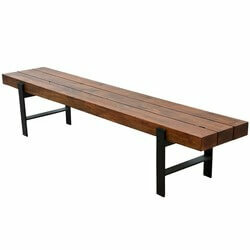 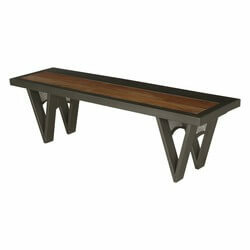 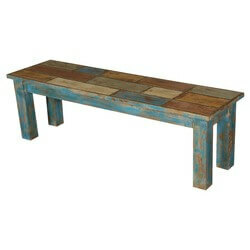 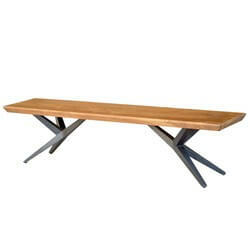 Hardwood benches are also great outdoors, on covered porches, and in almost every room in the house. 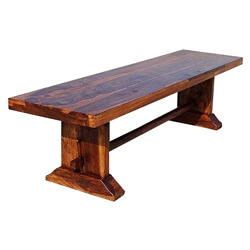 After you choose the perfect handmade bench, take a look at our diverse selection of dining tables and chairs.